A box of slides arrived the other day. 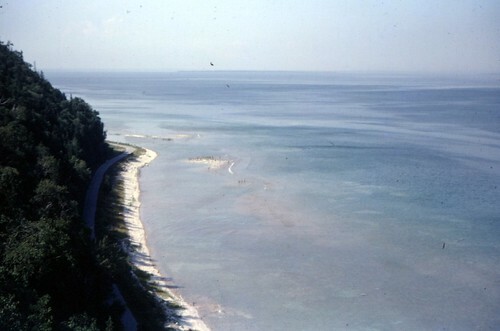 It is a roll of film shot during a trip to Mackinac Island in what is either the late summer or early fall of 1968. The date printed on the slides is October 1968 and since there isn't any fall color yet in the trees there is a good chance these were shot in early to mid September. Maybe. Who knows, really? I won't post all thirty here, just a select few. If you want to see all the pictures you can view them here. 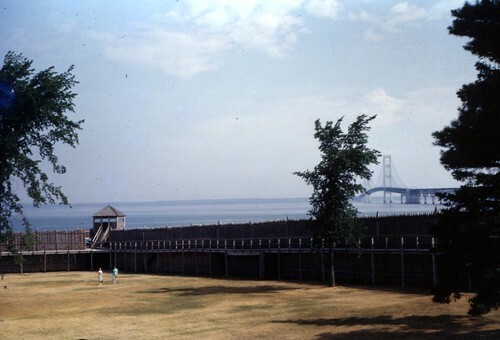 Their first stop was Fort Michilmackinac and I like this view of the Mackinac Bridge from the fort. 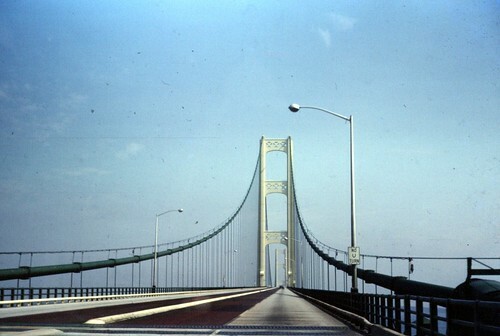 Then they drove across the Mackinac Bridge and took that photograph that everyone takes but it's still special. 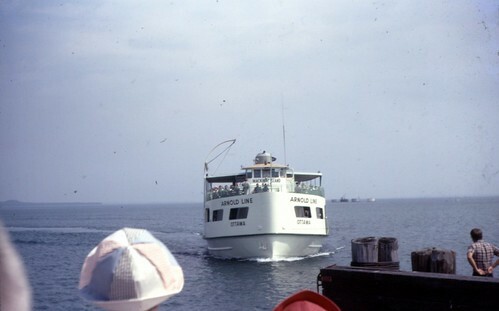 Arnold Line boat arriving to take the vactioners to Mackinac Island. According to Wikipedia the Arnold Transit Company has been around in some form since 1878. I had no idea. 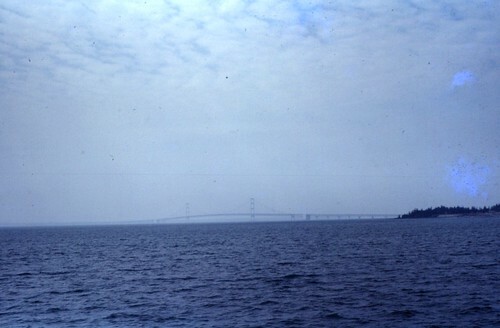 I really like this view of the bridge from the ferry. 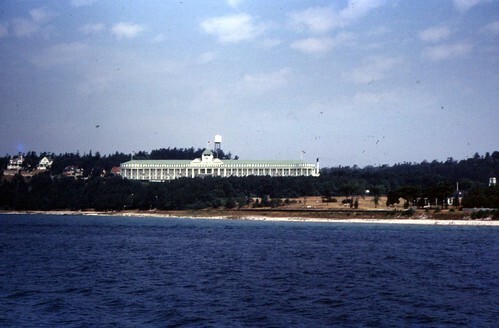 The Grand Hotel as the ferry approaches Mackinac Island. Another nice shot by the photographer. This from a bluff overlooking the hiking path. This last photo was a big surprise. 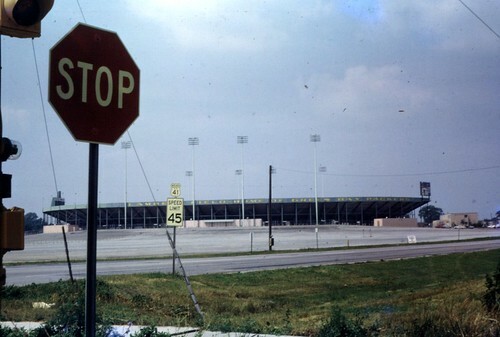 It's a shot of Lambeau Field in Greenbay. It is amazing how much the exterior has changed.